EDC items are ideal for stocking stuffers but finding the right gift can be a challenge. We are dedicated to helping you pick something either for yourself or someone else so go ahead and check out these 8 items that truly represent EDC essentials. James Brand designed a tough and authentic knife that can be a perfect addition to your EDC set. Let us talk construction first. The blade is made from Carpenter CTS-BD1 steel (an anti-corrosion material) and the hardware includes 416 stainless steel that’s black oxide coated. As for the handles, Folsom Knife features G10 fiberglass micarta material. Thanks to a steel liner lock design, the blade is secured and easy to use. More details include an ambidextrous opening slot and a reversible clip. 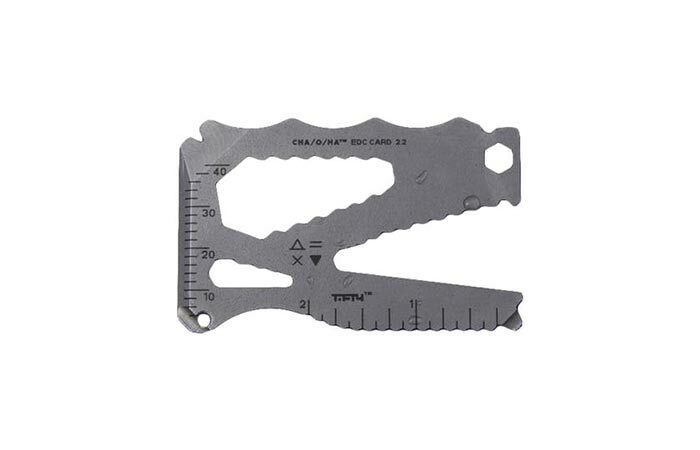 We are used to seeing EDC multitools and this one comes in a form of a card. Before we take you through Cha/O/Ha EDC Card functionalities, let us first say that this card is made from the highest grade stainless steel- S35VN. Its strength is additionally improved with it being treated in a vacuum before cooling. It comes with 30+ functions. It contains 23 hex wrenches, 1/4” hex driver with optional o-ring retention, a flathead driver, a Phillips driver, bottle opener, lanyard hole, prybar with nail lifting slot, a tapered straight edge, an imperial ruler and a metric ruler. A small, portable battery backup. 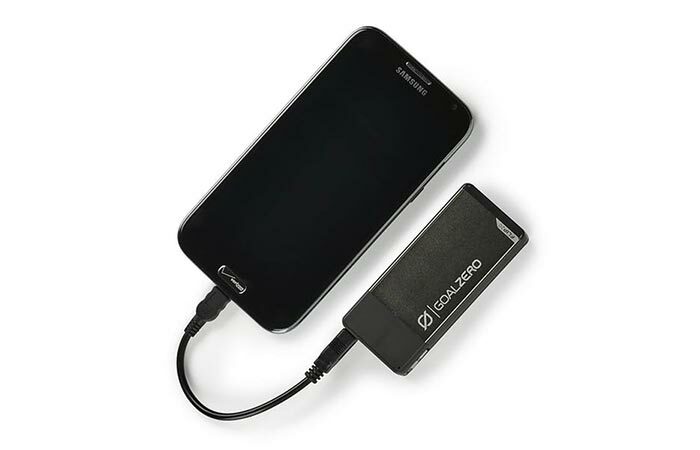 With a capacity of 5200mAh, Flip 20 can be used to charge a phone battery twice before recharging it. When empty, simply plug it in using a USB cable (micro USB included) and it will take 4 hours. As for its dimensions, it measures 3.7″ x 1.63″ x 0.83″ and weighs 4.6 oz. Designed with minimalism, elegance, and comfort in mind. This slim wallet from Vaultskin is crafted out of soft and long-lasting genuine Italian leather. Besides the sophisticated looks, it is very functional. 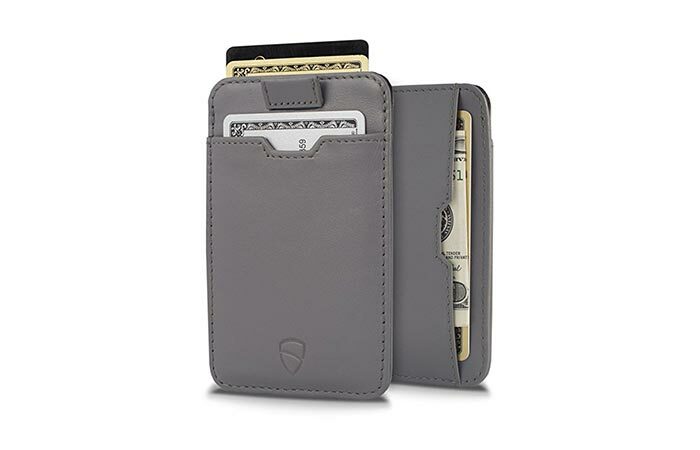 Card slots are available on the front, inside and back pocket and it can fit up to 10 cards. The back pocket can be used for carrying cash. There’s a handy strap that allows you to access your cards easily. Finally, the wallet has an RFID blocking insulation so you can feel safe from electronic theft. You can get it in several colors. An outdoor styled, rugged watch. 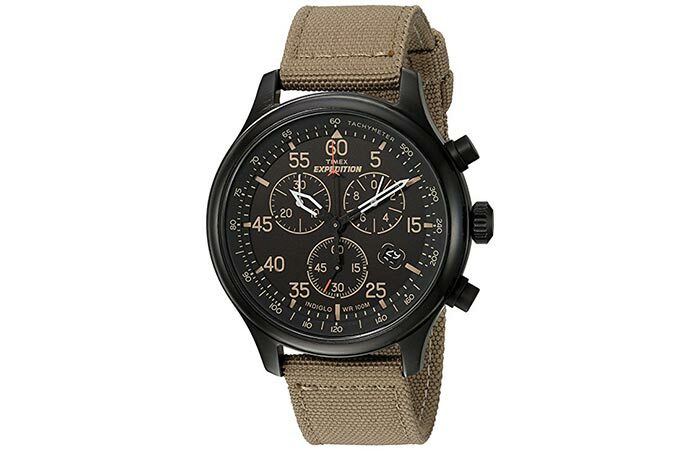 Timex Expedition Field Chronograph Watch is suitable for a variety of occasions, you can pair it with your outdoor apparel as well as casual everyday clothes. It can be an ideal partner for hiking trips and city streets. There are three watches in the collection (Scout, Field, and Sierra), all in natural tones. This one is a best seller and it comes with an analog-quartz movement, 43 mm case diameter and a nylon strap. It is water resistant up to 330 ft. Available in several colors- brown, beige, green and black. Thanks to its plastic buckle, you don’t have to remove it at security checkpoints. 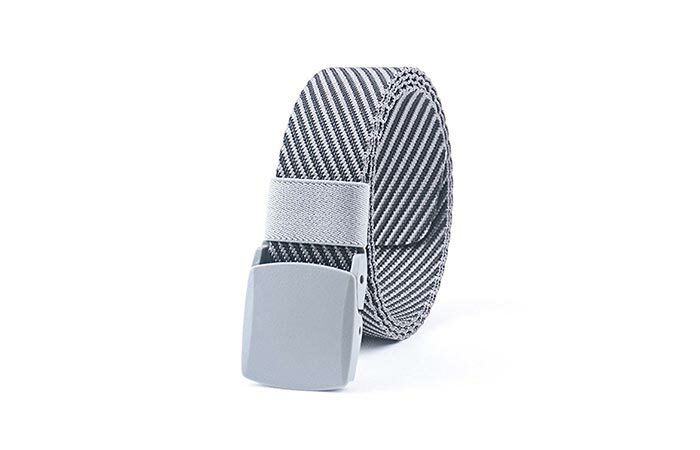 Constructed as a military belt, it features a thicken nylon strap that is comfortable, dries quickly and is wear-resisting. There are several benefits of having a plastic buckle. It’s light, easy to open and close and lets you pass security checks quicker. The belt is fully adjustable and the buckle is removable. You can get it in several colors. Affordable notebooks that fit into any backpack and carry bag. 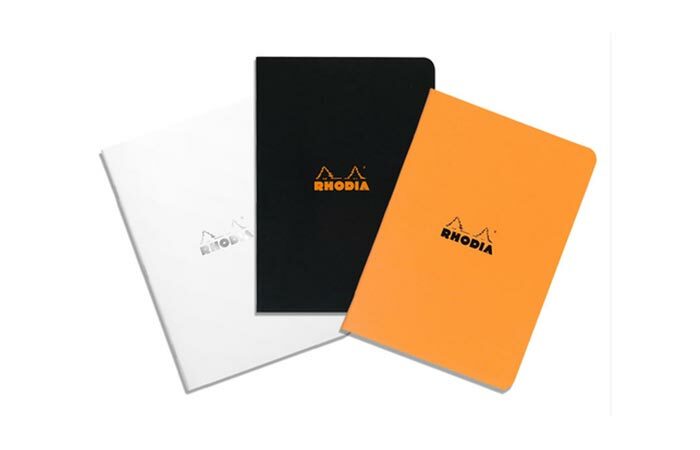 Rhodia is a company that has been making great notebooks from the 1930s. These come in a recognizable minimalistic style with orange and black signature look. The paper in the notebook is acid-free and easy to write on. A pen with an integrated glass breaker. For the last item of our EDC list, we decided to go with this tactical pen. 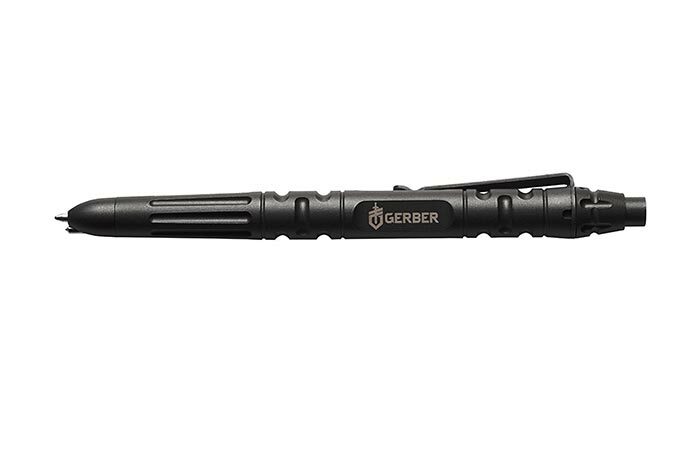 It comes from Gerber, a company well-known for making rugged tactical gear. The pen is no exception. 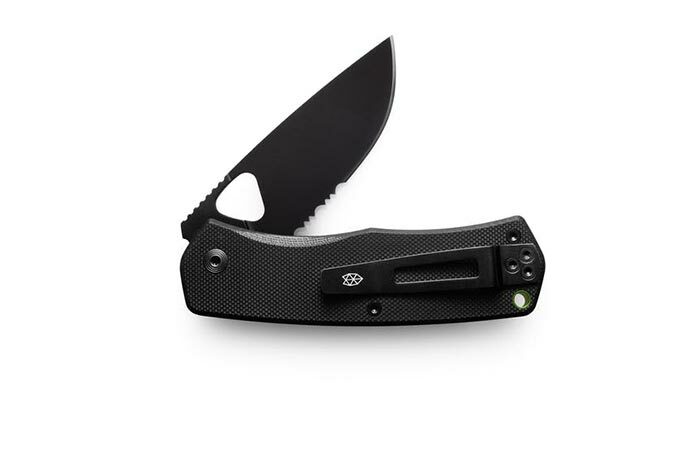 It features a machined steel body and a stainless steel pocket clip. In fact, they consulted with law enforcement professionals when designing it. The end result is a pen that can perform in all conditions, fits into your pocket and can be used as a glass breaker if needed.